Confidence is important for developing artists. 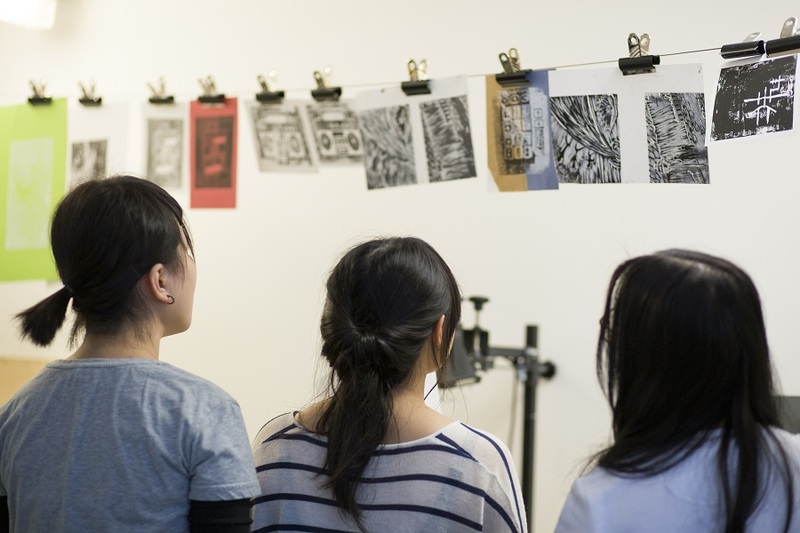 Find out how art and design university courses help students develop belief in themselves and their talent. You don’t become a great artist overnight. Producing truly exceptional original work is never easy, and it can take many hours of learning your craft, experimentation, and trial and error before you finally find your niche. This can be a frustrating process, particularly for younger artists, and it can be difficult not to let any setbacks you experience affect your self-confidence. When that happens, a strong support network can make all the difference. At Cambridge School of Visual and Performing Artists (CSVPA), we dedicate ourselves to helping aspiring artists develop the self-belief they need to succeed. Read on to find out how. When you are starting out as an artist, it can take a while to find your own distinctive style, as you explore different techniques, approaches, and mediums to figure out what works for you. At this crucial stage of your development, the last thing you need is tutors who limit your creativity or fail to offer the individual support you need. At CSVPA, your tutors are there to build you up rather than to knock you down, to fuel your passion and inspire you to take risks in order to realise your full potential. As experienced creative professionals, they understand that every artist is different, and provide each student with personalised attention and guidance as they work to develop their unique creative voice. Of course, your tutors are not the only people you can turn to for support during art and design university courses. Your classmates can also make a huge difference, providing you with helpful feedback on your work, a sounding board for your ideas, or just friendly encouragement. At CSVPA, for example, the small class sizes and close-knit environment of the university’s studios means that students get know each other quickly, forming fast friendships and developing a real sense of community. This family atmosphere creates exactly the kind of nurturing environment artists need to gain confidence in themselves and their work. Another thing that can greatly impact a developing artist is not having the resources they need. All too often, young students with great potential are limited by not having the right equipment, or trying to work in an environment which isn’t conducive to creativity. This can be very discouraging, as you start to believe that your ideas are not practical or feasible. Each Foundation Diploma student at CSVPA is provided with their own dedicated workspace in a state-of-the-art, professional standard environment. Graphics students have their own iMac, fashion students their own mannequin and with studio access seven days a week, you have everything you need to bring even your most ambitious projects to life. In the first nine weeks of their programme, students pursuing their Foundation Diploma in Art and Design spend time exploring a range of subjects before choosing an area to specialise in. This valuable period gives you the chance to experiment with different mediums and methods of working to find an area that really suits your strengths as an artist. Once you have chosen a specialism, you will spend the year developing a strong portfolio of work in that area through a series of challenging and rewarding projects. At the end of the year every student has the opportunity to show their work in an exhibition or fashion event. Getting the unique opportunity to showcase your work at such an early stage of your training is vital for your development. You learn that what looks good on a computer screen may not work once printed and in an exhibition. It also gives you a full stop to your year, a clear completion point where you can celebrate the year and display your work, spurring you on to push yourself even further in the future. And once you see the positive reactions your work receives, you will start to really believe that you can become the artist you dream of being. 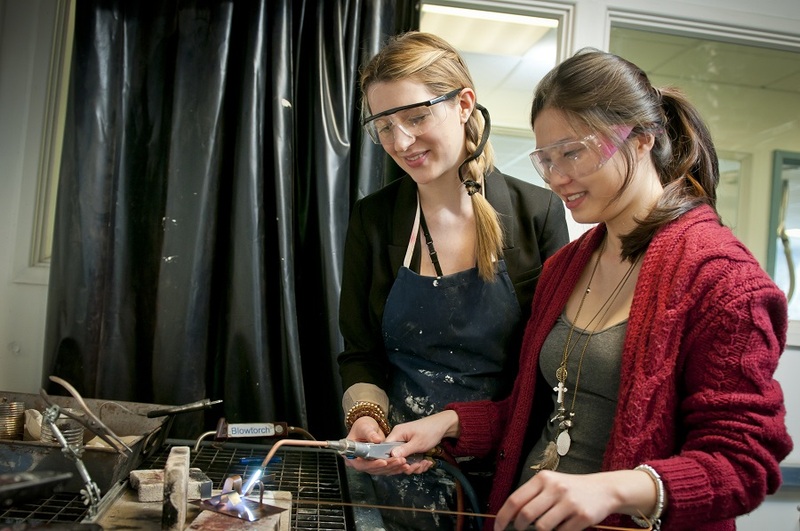 Looking for a School of Art and Design that will help you build confidence?